Travel Time platform is a geospatial company based in London, that specializes in travel time. It began with iGeolise in 2009, when co-founder Charlie Davies was set in a traffic jam. As he sat waiting to move, he wondered why a lot of location data was listed using straight-line distances when in reality people just needed to know travel times. 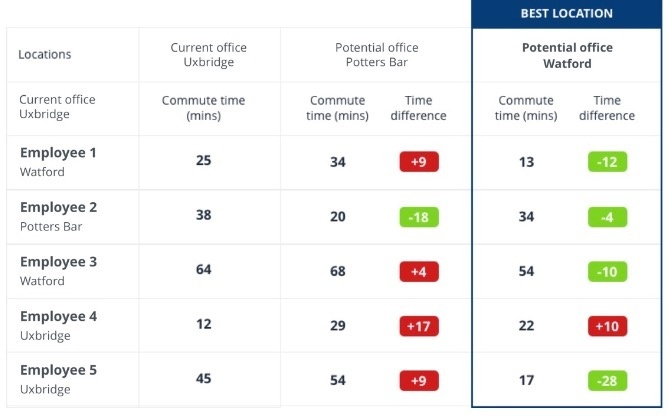 There are plenty of services that can estimate journey times when the user knows an A to B route, but what Charlie and co-founder Peter Lilley, set out to create was something that could calculate times to many points of interest in one go. Using maps and location data the Travel Time platform can create data visualizations showing where a user can reach within X minutes. It also returns the journey time from a start location to thousands of points of interest in a list and export location data tables calculating journey times from many starts points to many end locations. To calculate the travel times to thousands of locations in milliseconds, the platform was built to include journey speeds for driving, walking and cycling and adjusts due to congestion at peak times. It also includes up to date public transport timetable data to ensure the user gets accurate information every time. The Travel Time platform now powers property websites so users can find a home within ‘X minutes commute; and matches job candidates to roles in offices that are easy to reach. It’s also used by HR teams to analyze the impact of an office relocation on employees and hospitals to understand patient access to services, as well as many more applications.